High level political relations between Georgia and Romania, prospects for deepening the economic relations, security in the Black Sea region, European and Euro-Atlantic integration of Georgia were discussed by Mamuka Bakhtadze, Prime Minister of Georgia and Klaus Iohannis, President of Romania at the meeting held at the Presidential Palace today. Attention was paid to the significance of the Black Sea security in ensuring the overall Euro-Atlantic security. Discussions were related to the prospects of joint projects in the energy sector, which will further strengthen energy security of the European Union (EU). 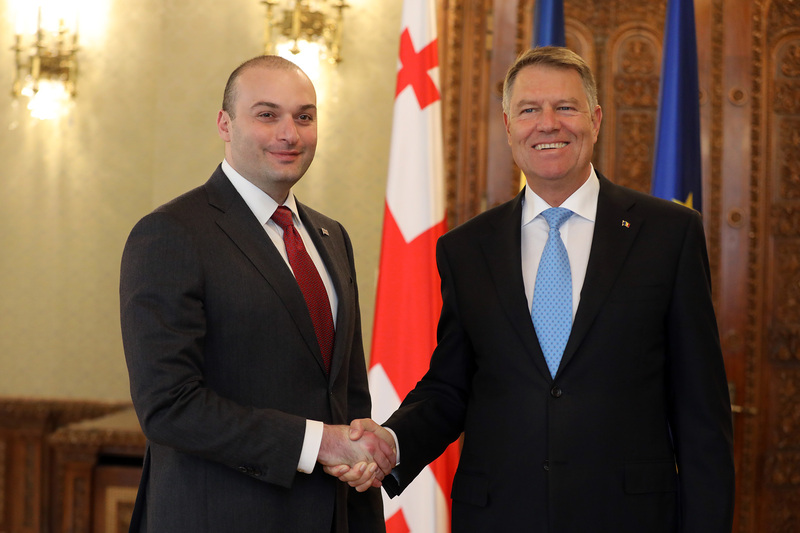 Head of Government of Georgia once again expressed readiness to assign strategic importance to the bilateral relations, thus making better solutions easier for issues deemed as strategic for Georgia and Romania. Significance of active efforts of Romania was underlined within the context of its EU Presidency for keeping the Easter Partnership at a high level and progress achieved by Georgia towards European and Euro-Atlantic integration. Prime Minister of Georgia and President of Romania also reviewed the current challenges faced by the region. Head of Government of Georgia focused on the grave humanitarian condition within the occupied territories of Georgia and peace initiative of the Government of Georgia branded as a Step Towards Better Future. 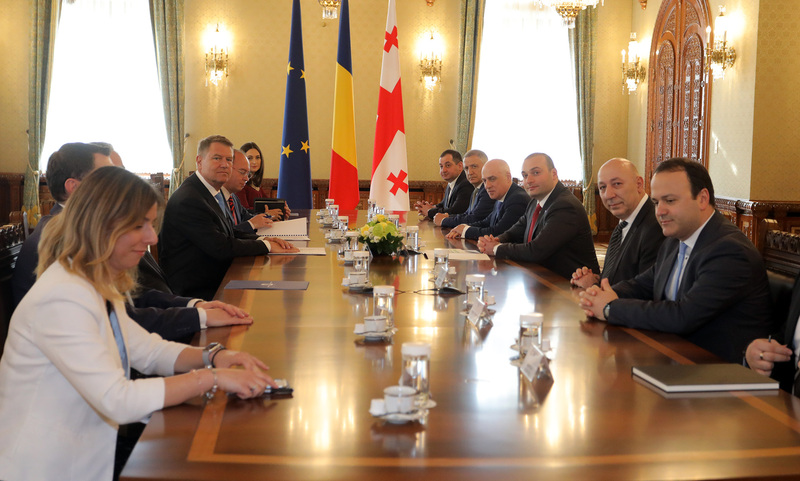 Prime Minister of Georgia expressed his gratitude to the President of Romania for the solid support of territorial integrity and sovereignty of Georgia.